I've said before, I'm like a moth to a flame with glitter polishes. I don't actually wear it all that often, but I can't stop buying it. 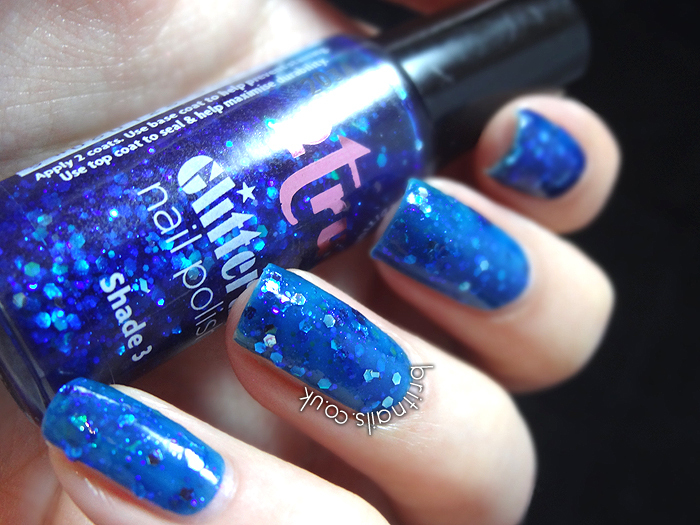 I found this one in Superdrug, along with one or two other nice glitters from 2true. I think they could have come up with a more imaginative name! It's a little pet peeve of mine when companies don't name their polishes. So, here we have "Shade 3". 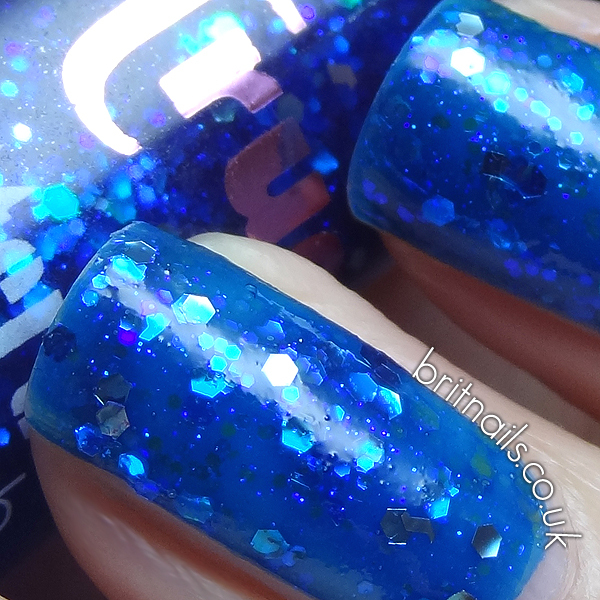 It has loads of large and small hex glitters in different shades of blue and green, all in a blue jelly base. I used two coats, along with two coats of top coat. I'd advise putting it over a similar blue rather than building it up yourself, as it got quite clumpy after 2 coats. It looks like a jelly sandwich which I'm always a fan of! The quality is decent for a budget brand, I think this was around £2.99. Have you tried any 2true colours? Very pretty, as usual. I really like this! Wow, this is really pretty. I am actually opposite of most people, because for some reason I like numbered polishes. I can actually recall which ones are which easier, lol. This looks great, i'll have to check it out!